In a damning report last year, Tameside was branded the “UK’s heart disease capital” by The British Heart Foundation. And it’s not just heart health that has come under scrutiny in the region. Life expectancy is worse than the UK average, over 18% of children and 26% of adults are considered obese and there are 422 smoking-related deaths a year according to a recent Public Health report (1). Active Tameside (formerly Tameside Sports Trust) is the not for profit charity which delivers sports and physical activity development services across the Tameside area. In response to the worrying health statistics, the organisation has set about trying to dramatically improve and increase sustained participation in physical activity in Tameside. As well as updating activity programming, it has recently refurbished many of its leisure centres, improved communications with a new website and Facebook page and is currently reaching out to the Tameside community in a bid to engage more with local people, in particular women during pregnancy, young families, workplaces, older adults and those with long term health conditions. Lyndsey Whiteside, Service Director at Active Tameside said, “Tameside is currently performing significantly below the UK average across a number of key indicators including physical activity and obesity. We have several challenges to overcome, but during this past year we have made real strides towards supporting young people, families and adults to get active. 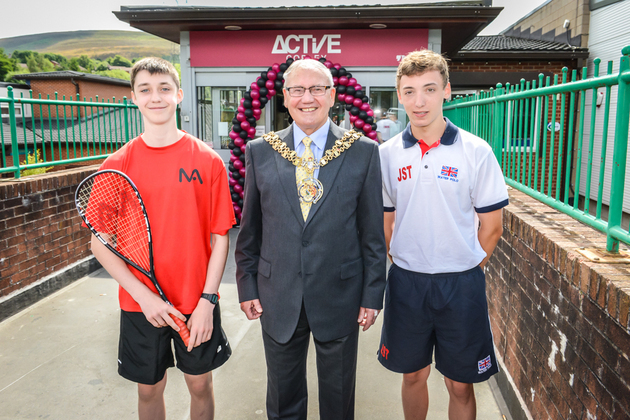 “Active Tameside now has plans in place to launch state of the art technology into our fitness centres to help motivate, measure and track performance. And we are looking to deliver some unique lifestyle programmes to provide education on healthy eating and cooking as well as a whole host of new fitness programmes and initiatives. And as part of Active Tameside’s commitment to activity across the borough, it has launched a 1000 tweets challenge, which encourages the people of Tameside to tweet a picture of themselves getting active this summer with a short explanation of what they’re doing (must include the hashtag #activeside and @active_tameside). Prizes for the best photos and tweets are 10 sets of £50 Active vouchers, which can be used at any Active Tameside centre. The closing date for entries is Friday 26th September to coincide with the inaugural National Fitness Day, hosted by UK Active. The new Active Tameside branding encompasses Ashton Pools, The Copley Centre, Hyde Leisure Pool, Medlock Leisure Centre, Denton Pools, Dukinfield Pool, Oxford Park Community Sports Centre, Ken Ward Sports Centre and the Etherow Bowling & Activity Centre.